By Melissa Lennig on July 15, 2013 1 Comment. This content contains affiliate links. As an Amazon Associate I earn from qualifying purchases. Do you want to surprise your kids with something special? Something that they will never forget? Imagine their delight and surprise when you blast them with an icy cold real-life snowball – in July! Oh yes, take cover because it’s time for a summer snowball fight! 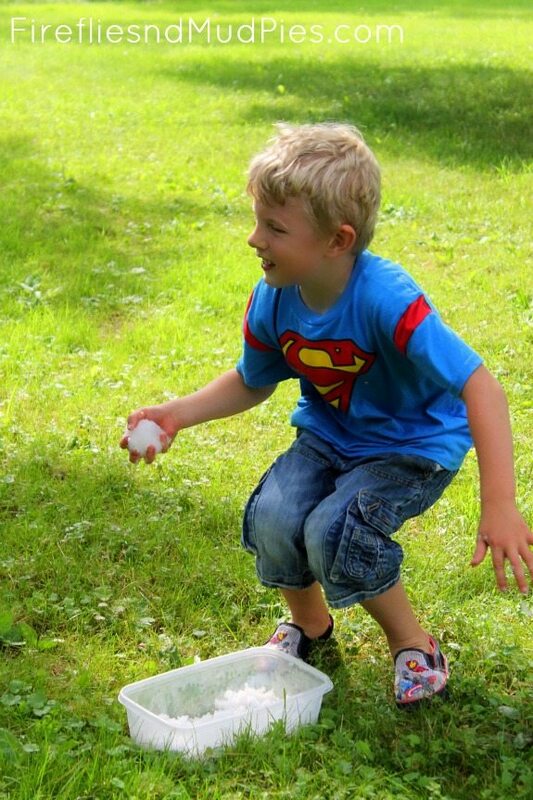 To host a summer snowball fight, the first thing you need to do is find snow – real snow. If your weather has been anything like ours, you’re going to have to make it yourself! I made our snow with ice and a snow cone machine. I stored the snow in the freezer until it was time for the fun to begin! Our little box of snow didn’t last very long, but the memories from our summer snowball fight have. 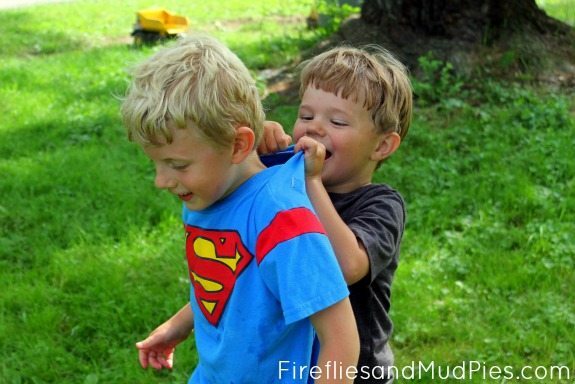 The boys enjoyed dumping snow down each other’s shirts to cool off! They giggled and giggled and giggled! 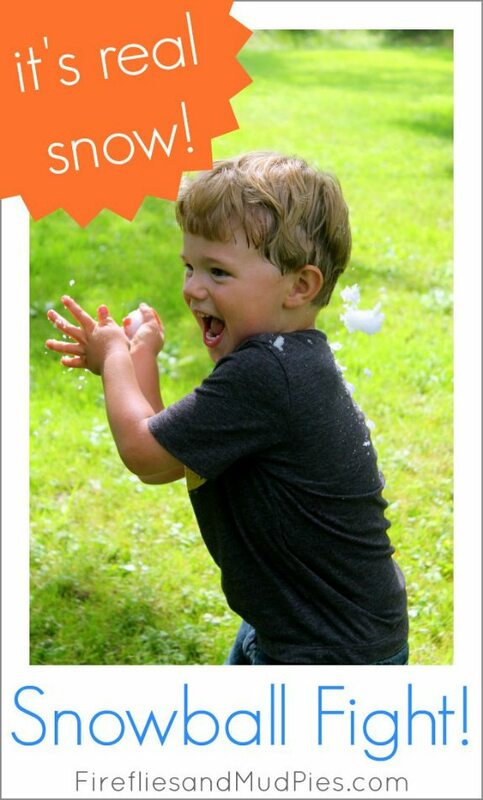 A summer snowball fight – what a great way to spend the afternoon and keep cool. For more summer fun activities, click HERE!